Germany’s environment ministry fears high emissions from coal-fired power plants and transport will make the country miss its 2020 climate targets by a wider margin than previously anticipated. 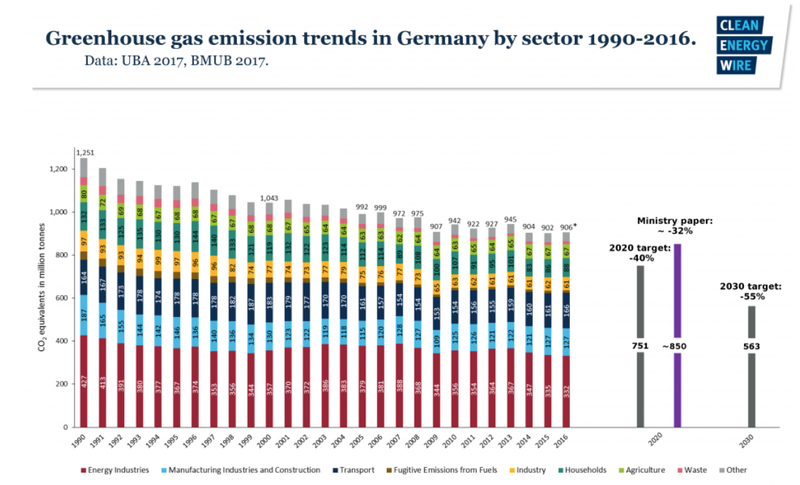 Germany is headed for a clear failure to meet its 2020 climate targets, according to calculations by the country’s environment ministry. 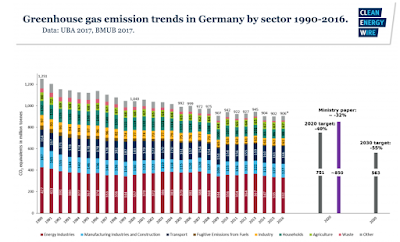 Without further action, Germany’s CO2 emissions will only be 31.7% to 32.5% below 1990 levels, an internal environment ministry paper seen by the Clean Energy Wire shows. Given the official target of cutting emissions by 40%, the ministry warns that a failure of this magnitude would constitute a “significant blow to Germany’s climate policy”, and would amount to “a disaster for Germany’s international reputation as a climate leader”.